Much attention is given to the need for improving educational outcomes for Black students, but rarely does research start by talking to students themselves. 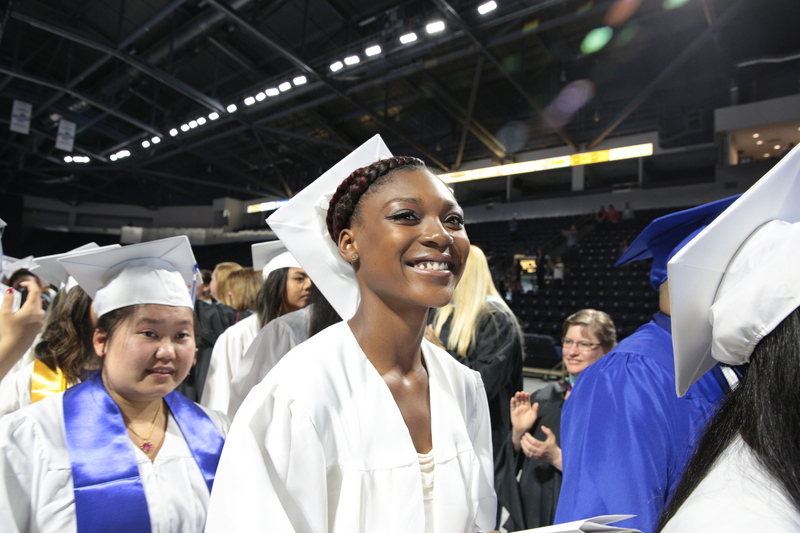 Start With Us is driven by what Black high schoolers in South King County and South Seattle say they need from the education system serving them. Using a combination of qualitative and quantitative research methods to incorporate youth voice, this report does not look at traditional measures such as graduation rates or test scores, but the systemic issues that affect the educational experience for Black youth. Start With Us begins by offering deeper insight into the identities of Black youth in the local public school systems—a remarkably diverse set of students who speak 82 primary languages and are from 79 countries. The report goes on to explore how Black youth may use their racial identity as a buffer against racial bias, and unpacks how a school’s environment can help or hurt student success. While many systems are responsible for students, Start With Us focuses on Black student success from high school to college. Rounding out the report is an examination of how access to resources in high school impacts persistence in college. Cooley, S. (November 2017). Start with Us: Black Youth in South King County and South Seattle. Seattle, WA: Community Center for Education Results.